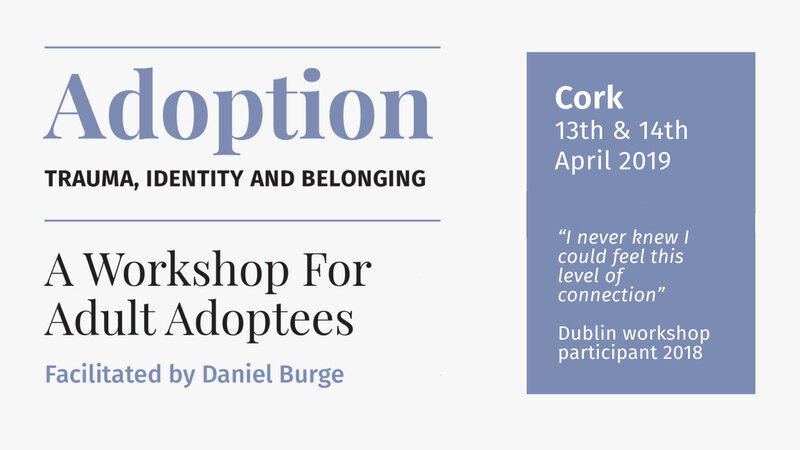 “I wish every person who has faced challenges in relation to their adoption would get a chance to take part in one of these workshops. It will be one of the greatest gifts to give yourself”. I have one adoption workshop for 2019 announced so far. PLEASE JOIN THE MAILING TO RECEIVE ANNOUNCEMENTS. Early traumatic experiences are a strong indicator for mental and emotional problems as a child and teenager, and physical illness in adulthood. These traumas leave us feeling very insecure, with unexpressed rage and grief. They may be referred to as our primal wounds. This experiential two-day event will take you through a process to heal from separation trauma. The workshop includes the latest developments in trauma therapy, deep listening, exercises, ritual and family constellations work. “I was also adopted, and I know exactly how devastating it can be to have a mother leave and not return. I also know how to heal trauma. If you are adopted, I want to share this opportunity with you. These workshops will be safe, loving environments to help you to heal from your own trauma and become fully alive, joyful and at peace. Everything you bring is welcome”. Daniel specialises in Adoption and Identity trauma. He is a professional Family Constellations facilitator and trained with Barbara Morgan of the Coming Home foundation in the UK. He also studied with Prof Dr Franz Ruppert at the Norwegian Institute for Trauma Studies, completing the Advanced Training in Multigenerational Psychotraumatology, now Identity Oriented Psychotrauma Therapy (IoPT). He has regular professional supervision. These events are exclusively for anyone that was adopted. “I recently attended a 2-day workshop that Daniel hosted for people that are adopted. Imagine, a room with people who know exactly how you feel, without having to put words to the feelings and emotions, because the other adoptees know them intimately. I have never sat in a room only with other adoptees, I think the same was true for us all, and being able to do so was wonderful and empowering. It was a weekend of joyous discovery, tears, open hearts, healing, sharing, trauma being realised and released, all in a very safe and sacred container. Daniel’s own adoption story, training, expertise and passion, make him an extraordinarily gifted facilitator, confident and able. I felt honoured, validated, heard, seen, felt, understood and safe. I was able to dive deep into my subconscious memories to experience profound healing. Through the family constellations work, I was able to not only see my own constellation in progress, but to play that part for the others. It’s quite incredible to see the family dynamics playing out and once these patterns can be seen, we can undo them and experience freedom. I have suffered all my life (49 years) as a result of my adoption. But now, thanks to Daniel’s workshop, I can say it brought me to a place where I was finally able to heal the story once and for all and come into a place of peace. Yes, I’ve healed my adoption story and I am at peace. For the first time in my life. It’s absolutely incredible because I didn’t ever feel I could find peace with this. I would recommend Daniel’s work to anyone who needs to heal their adoption story. In a heartbeat”.